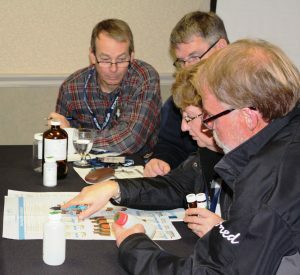 The Walkerton Clean Water Centre (WCWC) hosted two successful hands-on workshops in Barrie and Kingston during October 2018. The workshops were geared especially to the owners and operators of small drinking water systems defined under Ontario Regulation 170/03 and Ontario Regulation 319/08 and provided opportunities for training that could be used to maintain the Trained Person designation. 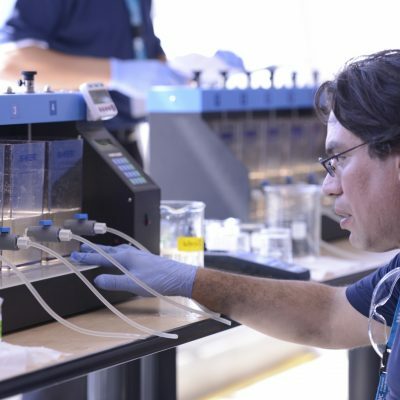 Sixty participants cycled through three two-hour training modules focusing on the operation and maintenance of small drinking water systems, earning continuing education units for their efforts. Feedback from participants was positive and 100 per cent of survey respondents indicated they would recommend the event to others. “The instructors actually tried to speak to the type of systems that the participants were using to increase relevancy,” reported one participant. For more information on WCWC training, please visit wcwc.ca, or contact us at 866-515-0550 or training@wcwc.ca. Background: WCWC is an agency of the Government of Ontario, established in 2004, to ensure clean and safe drinking water for the entire province. WCWC coordinates and provides education, training and information to drinking water system owners, operators and operating authorities, and the public, in order to safeguard Ontario’s drinking water. Through partnerships, WCWC also provides training for the 133 First Nations communities in Ontario. To date, high-quality training has been provided to more than 80,000 participants across Ontario. For more information please visit www.wcwc.ca. Book your next meeting or event with us!